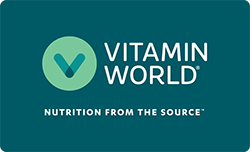 Home | Sale | Select Vitamin World | Ultra Chromium Picolinate 500 mcg. Ultra Chromium Picolinate 500 mcg. Directions: For adults, take one (1) to two (2) tablets daily, preferably with a meal. Other Ingredients: Dicalcium Phosphate, Vegetable Cellulose, Croscarmellose Sodium, Silicon Dioxide, Vegetable Magnesium Stearate, Glycerin. Contains: Tree nuts. Ultra Chromium Picolinate 500 mcg. is rated 4.2 out of 5 by 5. Rated 5 out of 5 by BBKradwell from Keeping me healthy, happy... What with my diet, being as crap as it is, I've been taking chromium for over twenty years. I believe your products have improved my quality of Life. From all that I've read and all the medical tests out there, proven or not, I believe that YOUR Chromium is better than most others I've taken over the decades. Rated 1 out of 5 by Grandma from Disappointed with this. I have been using the 200mg for several years and love it. So I ordered this for times I need more but when I took one, it really upset my intestinal system. I will send this back and have already reordered the 200mg, Hopefully the 200mg formula has not been changed. Rated 5 out of 5 by johng22 from Excellent product Excellent service and product.